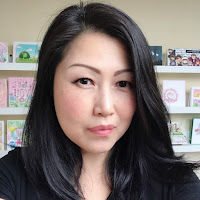 Hello and welcome to the MFT April Release Countdown Day 3! All of the amazing new products will be available on Tuesday, April 9th at 10AM EDT. 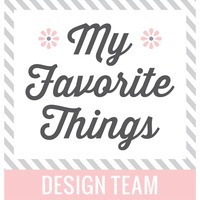 Make sure to stop by the MFT Blog every day during the countdown see the full reveal. 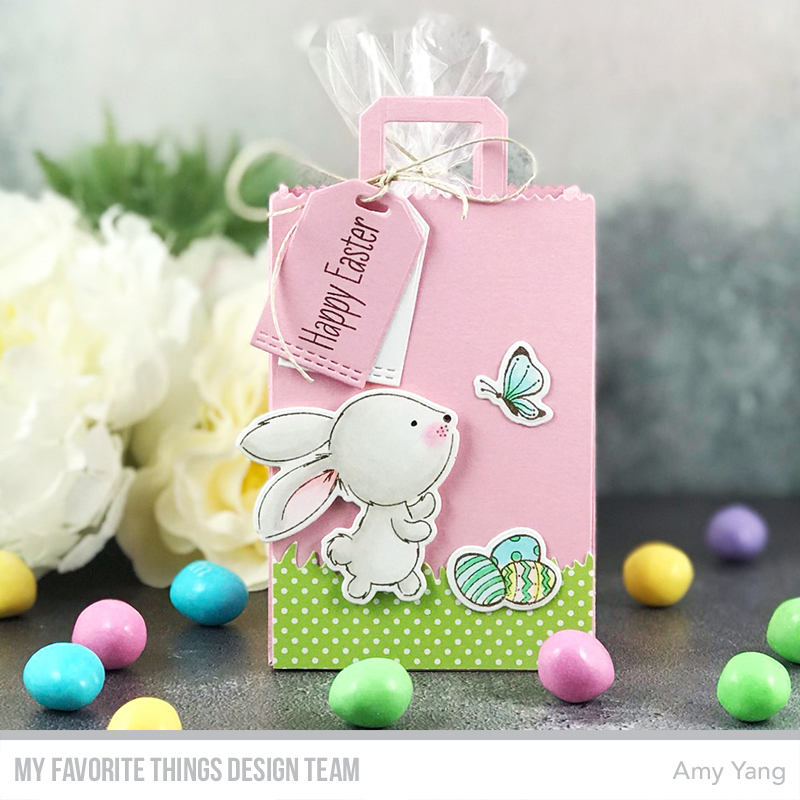 For today's project, I made cute little Easter gift bags/party favors featuring the new Sweetest Somebunny set with the new Paper Bag Treat Box Die-namics. 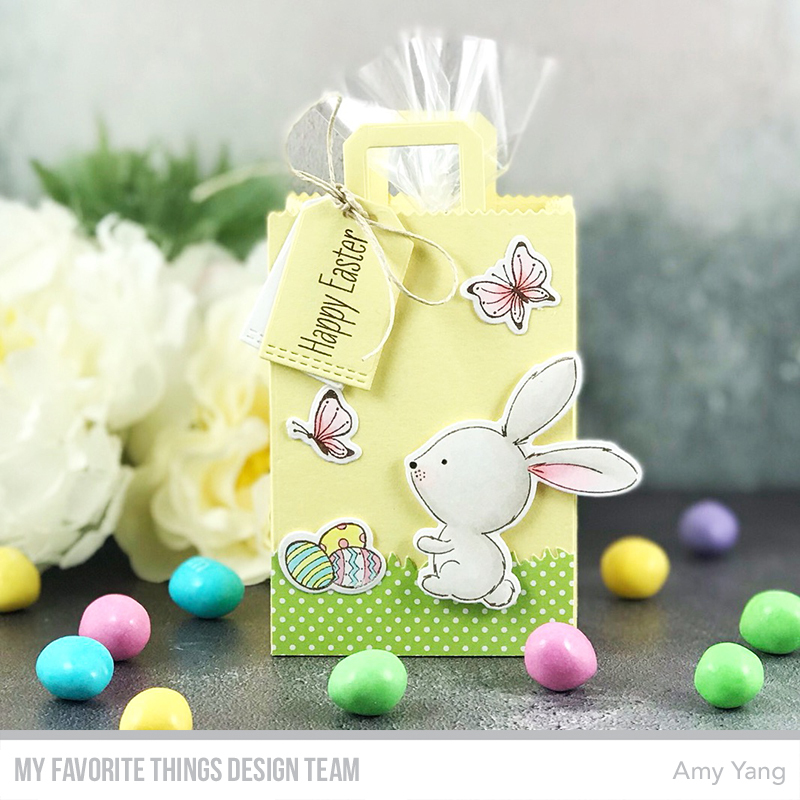 To begin, I Copic colored the stamped bunnies from the Sweetest Somebunny stamp set and the easter eggs and the butterflies from the SY Easter Bunnies stamp set. After I cut them out with the coordinating dies. 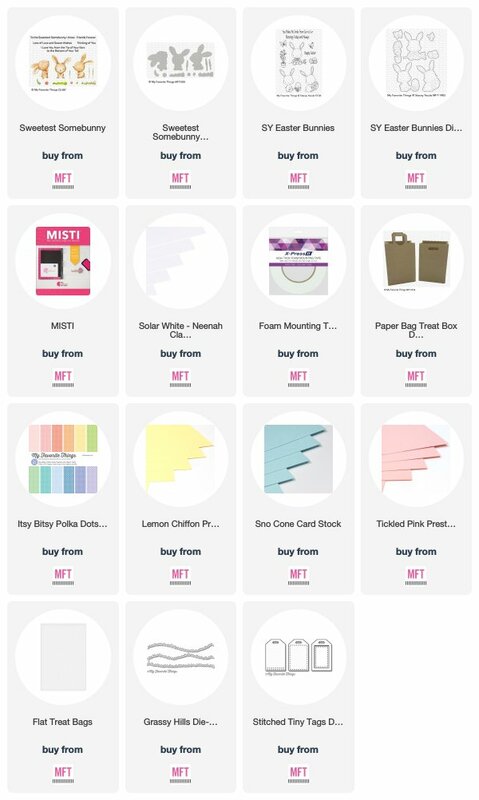 I used the Paper Bag Treat Box Die-namics to die-cut Lemon Chiffon, Tickled Pink, and Sno Cone card stock and assembled the treat bags as shown. The grass panels on the front of the bags were made using pattern paper from Itsy Bitsy Polka Dots Pastel Paper Pack and Grassy Hills Die-namics. The tags were made using one of the dies from the Stitched Tiny Tags Die-namics. The sentiment "Happy Easter" stamped on the tags is from the SY Easter Bunnies stamp set. I adhered the grass panel, the colored images, and tied the mini tags with twine as shown to the treat bags. Lastly, I used the Flat Treat Bags to fill in the chocolate treats and added them to the treat bags. That's it for today. I hope you enjoyed the treat bags. See you again tomorrow for my Countdown Day 2 project. Happy stamping! These are adorable treat bags. The bunnies are so cute. Love the colors too. Love these little bunnies on the new treat bags! Super sweet treat bags and I adore the bunnies. The lemon chiffon is my favorite. Awesome release! Awesome creation! I love these sweet little bags! 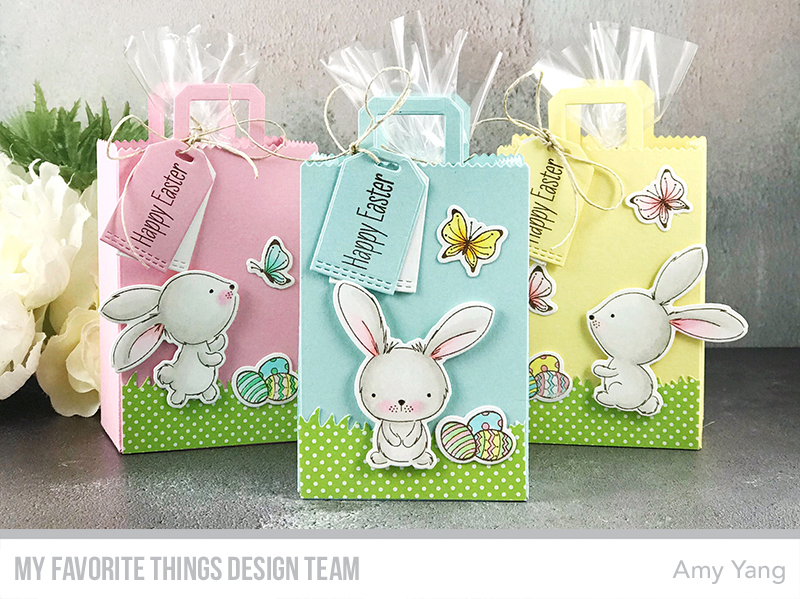 Such cute gift bags, love those bunnies!